In November 2015, we announced our partnership with Figshare, an open repository that promotes broad discoverability of scientific research data. 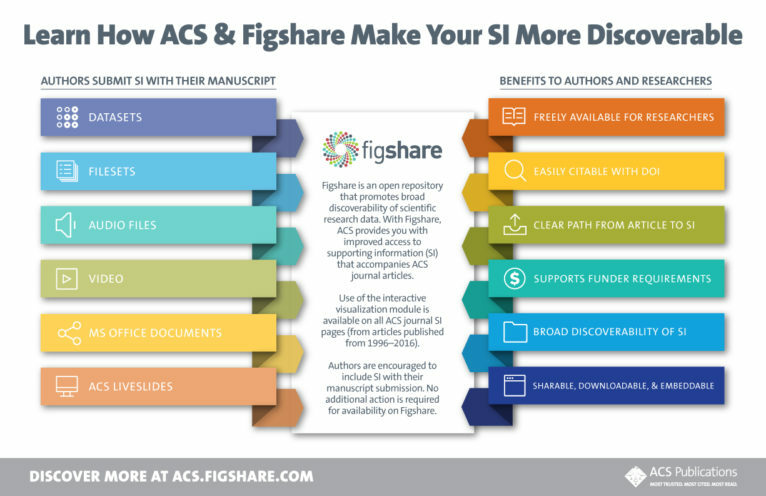 The ACS partnership with Figshare provides our authors and researchers with improved archiving and access to open data sets and other supporting information that often accompany articles published in ACS Publications’ peer-reviewed research journals. As an ACS Author, you are encouraged to submit your Supporting Information and supplemental material via more than 100 file formats, including video and multimedia files, tabular data, and crystallographic data. Readers can freely access supporting data submitted within any peer-reviewed research paper in any ACS journal through the ACS Publications’ website—pubs.acs.org. We also facilitate automated deposition of Supporting Information (SI) files to a secure hosting environment, ensuring your files are properly preserved and free from size and format restrictions; even better, you do not have to do anything else beyond submitting your files. These files will be assigned Digital Object Identifier (DOI) tags, which makes your article easily discoverable, allows your SI to be cited, and even supports requirements from various funding agencies. “Supporting information has never looked so appealing! This new way of visualizing all sorts of SI files couldn’t be easier, and I’m particularly excited about the new automated generation of rotating 3D structures from Crystallographic Information Files,” says William B. Tolman, Editor-in-Chief of Inorganic Chemistry. An interactive visualization module is now available on all ACS journal SI pages from articles published from 2009-2016. These modules display all major file types, offering you a quick look at MS Office documents, PDFs, videos, and several other format types. You can also quickly scan through multiple files without having to open them, you can download an SI file, or all files directly from the display, and you can share any file on social media. In the coming months we will expand the functionality to include all articles published since 1996—over 300,000 original research articles in total. 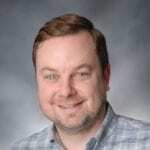 “ACS has taken another big step toward the ready visualization of data where the reader gets to learn what they need from the information, not just what the author wants to share. Being able to open crystallographic information files to see and rotate the structure will be a powerful tool for readers wishing to understand chemistry at the molecular level,” says Robin D. Rogers, Editor-in-Chief of Crystal Growth & Design. Read more about ACS LiveSlides, which are now available for ACS Author Choice and ACS Editors’ Choice open access articles in addition to The Journal of Physical Chemistry Letters.